≈ Comments Off on The Bear Facts. In the UK, what do you tend to think about when asked about ‘military excellence’? There is only one obvious answer unless you are prone to regimental/squadron/ship jealousy, isn’t there. The Special Air Service, of course. Tales of derring-do abound, but generally speaking we are awestruck about their training/selection procedures as much as we are their expertise, mainly because if they tell us what they do they’ll have to kill us. In the absence of operational disclosure, then, it’s their selection that remains legendary. For those who know not, the SAS was formed as a commando-style unit operating behind enemy lines during the WWII desert campaign in North Africa. It was the idea of Col David Stirling and unless they’ve secretly changed it, their HQ is still referred to as the Stirling Lines. “As an alternative to ‘NY resolutions’ here are the Four Tenets by Col Sir David Stirling (founder of the SAS). Stick to them and it’ll be a good year. The unrelenting pursuit of excellence. The highest standards of self-discipline. Tolerate no sense of class. Stirling’s First Tenet matches the intent and practice of the ‘competence’ element of the Second Resolution, doesn’t it? The Second Tenet matches the First, eh? And there is a definite correlation between the ‘character’ element of the Second Resolution and Stirling’s Third and Fourth Tenet. So if the officers, NCOs and men of the SAS think the Three Resolutions are sound – it is the Special Air SERVICE, so that’s the Third Resolution covered after all – then isn’t it a good idea to try our best to do the same in our own fields of endeavour. Which is why I am abashed, because seeking perfection in execution of the 3Rs is not ‘easy’. In fact, while trying to live up to ‘my’ 3Rs can’t honestly match even the physical expectations of an SAS applicant, it is still hard. Nevertheless, it’s worth trying. So, here’s my advice this week. “That’ll do.” Er, no it won’t. ≈ Comments Off on “That’ll do.” Er, no it won’t. In the main, we all want to do a great job. We want our performance to be above reproach and our results to reflect the effort we put into our work, our relationships, our very lives. So why is it that we eventually resign ourselves to being and doing less than we are capable of? Occasionally, the availability of time and materiel impact on our efforts and we do the best we can with the time and resources available – which I consider a valid ‘good enough’ – but now feel guilty that we couldn’t do better. In my own line of work, our effectiveness in terms of client service is often frustrated by the clients themselves, who kick off a process and then step back and absolve themselves of further responsibility despite an explicit need for their further involvement. Sometimes, however, even as we say them silently to ourselves, we know that the excuse we are making is exactly that – a statement designed to excuse a temporary unwillingness to put a piece of ourselves into something which may increase our workload. Sometimes it is because we know that we are metaphorically digging a hole with the sole intention of merely filling it again. We see no conceivable result at the end of our toil, just the toil itself. I don’t have ‘the’ answer, and I am certainly guilty of having such thoughts from time to time. But I do have ‘an’ answer. Stephen Covey opined that ‘the enemy of the best is the good’. Therefore, my advice to you and to me is to just try harder to make the effort to be better than mediocre. It may seem pointless in the moment to strive for a particular outcome, but that striving is a way of learning to do it better, faster, and even cheaper next time. It serves creation of our own system, which in turn can help create a standard that others can follow, to the benefit of all. That’s all Three Resolutions in action. Why do you think software keeps developing? It’s because someone has discovered, possibly through frustration, that there is a better or more complete way to achieve a digital outcome. My advice, dear reader, is – don’t be mediocre, be the best you can be all of the time. Or at least try. Even if you don’t quite hit perfection you’ll be a lot closer than you were. And a lot better than ‘good enough’. *The funny thing is that those people who browbeat and have their own sense of ‘good enough’ for their work expect you to maintain an excellent performance to which they sweetly avoid committing when it comes to their own roles. Get the F on with it. ≈ Comments Off on Get the F on with it. You have, haven’t you? Even if nothing obvious, you have something in mind, don’t you? It IS January 1st, after all. You have some idea of what you are going to ‘do differently’ for 2018. Some call them Resolutions (I can’t because of the title of the site), some call them Goals, NLP types call them Outcomes, but in the final analysis we are all talking about creating a new vision of how we are going to behave in order to get something we don’t have already. Probably – and this is the painful part – the same things we promised ourselves last year and never achieved. Just like Yours Truly. Why not start off by doing something at the end of this paragraph that you promised you’d do? If it is to start exercising, go for a fast-paced walk. If it’s to read a certain book,* pluck it from the shelf, blow off the dust and get to it. If you have to buy it, do it now. If it’s to cut back on sugary foods, go empty the cupboards of sugary foods. Duh! GET ON WITH IT. Time’s a-wasting. The year is flashing by already. No more blog, just go. I’m using a WIG. Or Four. ≈ Comments Off on I’m using a WIG. Or Four. I went away because I was a bit tired of espousing personal development philosophy while manifestly failing to come up to my own standards. Furthermore, as a direct consequence of said lack of integrity and the physiology that resulted, I felt bloody terrible. I had (still have) a dodgy knee, but carrying 42 lbs of spare weight wasn’t helping. All that weight was on my front, which probably didn’t help with the back. I was constantly tired when I woke up in the morning, and I was motivated only by virtue of the fact that I would do things only if they were on my prioritised action list in my planner. I could simply avoid doing things by not putting them onto the list. I needed space. I booked some time off from work, and set myself only four WIGs – wildly important goals – for the 18 days available. Stick to a diet that had worked in the past. Go to the gym on every free day (i.e. those when I did NOT have whole days dedicated to other events – which only amounted to 2, anyway). Finish the edit of Police Time Management so that I can sell it through my professional body’s website. Clear and organise my attic. Might not seem much but I had various events, meetings and other commitments to fill my time. Those 4 were the specific outcomes or strategies I chose that would address many of the physical and mental blockages that were causing my malaise. The diet I chose is known as the Natural Hygiene Diet (look it up). In a nutshell, only have EITHER a protein OR a carbohydrate ‘main’ accompanied by vegetables or salad, and avoid (as far as is reasonable) heavy sauces and other taste bombs. Eat lightly, and use fruit as your treats. It’s Slimming World without the sins. I also ate only four slices of bread the whole time. My only variance was a bit of a treat after a day-long conference and drive home, where I indulged in a sandwich snack and some sweeties. I surprised myself, here. I went to the gym every day but the two days when I had all-day commitments, sat on a static cycle for 45 minutes (and pedalled! ), pushed some weight and did some gut-stressing leg raises. I even took my kit to an overnight halt before the aforementioned conference and did it in the hotel gym. I finished the edit far quicker than I thought and it will soon be available for purchase either on its own or as a freebie on an investigator’s course. This was a challenge because of an unexpected obstacle known as ‘other people’. I found it easy to sort out ‘my’ stuff – chuck, charity, colleagues, keep. Other people – predominantly ‘review, keep, put back’. And their proclivity for finding other things to do which could be done better/at other times/not at all, but seemed to pop up just when I was climbing the attic ladder. How did I feel? Much to my surprise, by day 12 I felt physically much fitter, lighter, and more disposed to movement. On the final, 18th day, I weighed myself and I had lost 11.15lbs. But why? Why did it work now and not before? Anthony Robbins often says that when we change, it is for one of two reasons – inspiration, or desperation. The 100-Day Challenge, which I manifestly failed to execute, was born of the former, while the success of this moment was clearly, unequivocally and sadly founded on the latter. WIGS. I set only four Wildly Important Goals, around which any other things were organised. Time Management. I recognised that I was sitting around ‘saving time’ and not ‘using time’, so deciding to use the gym at a specific time every day (4pm) was better than leaving it to ‘IF I have time’. Sensible eating. I realised that when I have been stuffing my face it has never, ever been because I am hungry. It is because I am bored. And I realised that seconds after a meal was completed, the ‘event’ was over and my mind and body had already forgotten. So why go to that effort? Just eat sensibly and feel just as ‘forgetful’, but healthier! I learned to cook omelettes, scrambled eggs and poached eggs. Thanks, Delia. Masterchef beckons. 100-Day Challenge, Day 66. Truth Hurts. A lot. ≈ Comments Off on 100-Day Challenge, Day 66. Truth Hurts. A lot. I have long been an advocate of integrity excellence, a fundamental (but not exclusive) element of which is honesty. The principle of truth, spoken loud. The valued exercise of telling it like it is, even when doing so discloses, as Al Gore would put it, an inconvenient truth. And the inconvenient truth on Day 66 is this: while I maintain that the Principles of Excellence in the physical and mental spheres always work, I have failed to work the Principles. I have known what to do, but I have failed to do it. In my defence, the ‘excellence’ I have sought to perform in the competencies I look to possess has resulted in my being appointed a ‘Masters Mentor’ with the Institute of Advanced Motorists, and I look to produce high-quality work on a professional level. I still do my funky thing for all those I seek to serve. But physically I am a wreck. I am no further forward in terms of weight loss from Day 1. Exercise-wise I have the genuine reason of a knee injury which, as much as I tried to compensate through different approaches to exercise, just got too painful to move. Even walking was challenging. Where I failed most of all was to not adapt my eating habits (a) to lose weight ‘at all’ and (b) to compensate for the inability to work out. The ultimate weight-loss principle is and always will be ‘eat less, move more’. I started this Challenge by using the ‘move more’ approach and that worked. But when the injury kicked in I did not then apply the ‘eat less’ approach and that has meant, well, failure. There are 34 days left so I can still do something, but I am not going to hit my original target unless Montezuma seeks terrible revenge, and as far as I know I have not offended any Mexican gods. Of course, as a personal development writer this has to reflect on my reputation – a bit. I occasionally feel like the clown who is sad inside: the clown, promoting laughter and entertainment while forever crying inside. But part of my challenge might be that I eventually face the possibility that I am comparing my situation, and potential, to that of the truly great writers, performers and coaches in this field, and looking to play like Ronaldo while only having the talent of a (insert name of good, non-International football player here). I am reluctant to settle for less than ‘perfection’. Nobody should do that. But even perfection is subjective, because as soon as it is achieved someone will always come up with an even better version of it. And even if I did approach an ideal version of me, that very approach would inevitably identify an even better ‘better’. That ‘even higher standard’ could be identified because one of the giants in my field found it, even if I didn’t. And then I would think ‘here I go again’. Anyway, I will carry on moving ever forward, seeking to finally achieve those elusive, higher levels of personal congruence that will enable me to truly walk my talk and be the individual I would dearly love to be. I guess we’ll find out. But one thing must apply. I won’t blindly adopt other peoples’ standards and measure the final ’me’ against those. They have their values, beliefs and behaviours and they are not necessarily mine. The ultimate identifier and judge of my congruence with my values and unifying principles will be – me. Eventually. Holidays. Despite not going nuts on food and drink, and spending hours walking about, the curse of a holiday reared its ugly head and I gained two pounds. Suffice to say, the original objective is now impossible unless I suddenly obtain the capacity to train like George Foreman (in his boxing, not grill days). 41 days to lose 31 pounds is not impossible but when I achieved something remotely near that (losing a stone in 2 weeks) I spent the 14th day in bed and I suspect that my 55-year-old metabolism is not the same as my 40-year-old metabolism. Do any readers have suggestions or experiences that might be fun for others to read? Speaking of holidays, how do you do yours? As a coach/trainer I find that I spend a lot of ‘time-off’ thinking about ‘time-on’. For example, as I toured many book shops during my break I found myself gravitating to the self-help section, and then cursing myself because I want to focus all my energies on Principle-Centred Self-Leadership and the writings of Stephen Covey. I’d pick up a book and then put it back – I don’t need to read these things any more! Why? This is a piece of advice I give any clients of my courses. Find the ONE philosophy and system that floats your boat – and stick with it. Why do that? Why do that and not explore potentially better alternatives to improved living and personal development? 2. Trying to apply one system is a lot easier than trying to jump between different ones. Canfield’s Focusing System, Ziglar’s Goals Method, Allen’s Getting Things Done, The Seven Habits and others – all great, but you can’t ‘do’ any of them consistently – and effectively – when you’re trying to ‘do’ all of the others. Find and use one system – I prefer the 7 Habits version because I have been applying it for 22 years and it works. But you might like the others. Just find ‘one’ and stick with that – or you’ll fail while desperately trying not to because your time is spent trying to juggle alternative technologies. Recap – the philosophies are generally the same; the methodology serves those philosophies, but in slightly different ways. And different strokes suit different folks. Find one route, and stick with that. 100-Day Challenge, Day 44. And about a ‘Cure’ for Stress. ≈ Comments Off on 100-Day Challenge, Day 44. And about a ‘Cure’ for Stress. This week I have been mostly exercising every two days, eating sensibly and producing like a dervish. I discovered that ‘being on holidays’ equates to ’90-120 minutes a day dealing with voluntary tasks’, in that two days of this week felt like I was one of those CEOs who claims to get a million emails a day. Every single one I dealt with generated two more, I swear. Hence this input on Stress. Stress is self-imposed. (Cue anger.) Okay, let me temper that a bit. On Monday I went to Cardiff Yes Group, a post-Tony Robbins event ‘alumni’ event where personal development lecturers keep the audience ‘on track’ with their commitments. All are welcome, and there are UK-wide events available. The speaker suggested that (one of) the reasons for stress arise from overwhelm and an inability to cope with change and pressure because life/we/bosses etc haven’t allowed time for our neurology to get respite from the constant changes of direction (e.g. from interruptions like constant demands for attention from emails). That inability to cope can be genuine and physical, or it can be a perception. By that, I mean that the stress is all too real to the sufferer but if they weren’t so pressured they’d realise they could control it, if they only knew how. In other words, the stressed individual says, “I have 101 things to do and I just can’t see a way to do it.” The individual with a control strategy says, “I have 101 things to do today and 8 hours in which to do them. Do-able.” That is 480 minutes – about 4.5 minutes a ‘thing’, and for every ‘thing’ that takes a minute, that rate expands. 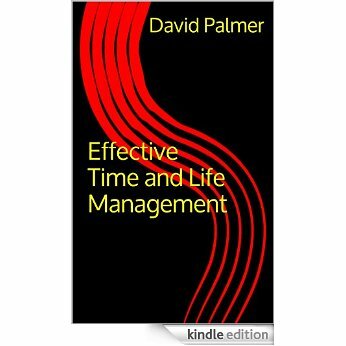 Time management might seem like a management cliché but in my opinion, from years of applying it, time management properly taught, accepted, encouraged and applied is an absolute – yes, absolute – cure for stress. Please understand, I am not talking about stress resulting from trauma, accident, disaster, relationship failures and so on. That’s different, even if some relevant TM training can help. I am talking about task overwhelm in work and in the home. Charles R Hobbs, in his epic book ‘Timepower’, suggests that high self-esteem is served by the ability to be in control of events. I am fairly confident when I suggest that those with genuinely high levels of justifiable self-esteem (as opposed to ego) rarely suffer from work-related stress. And that is because they are, or they feel they are in complete control of what’s ‘appenin’, OR they know that they can take control – even of the unexpected. They have techniques and approaches that enable that control. In the mid-1990s I had what I call ‘an episode’ where this 6’ tall, macho, fightin’, drivin’, chasin’, action-man copper left a boss’s office in tears and went home before his shift was due to start. (Short version, I think it was slow burn.) Fortunately, I had been reading The 7 Habits and books like Timepower for years. I went home, took the wife and kids out for a family meal, and took stock. I recognised that what was happening was a stress build-up. Then I took control and decided what I was going to do about the situation. I was back at work within 48 hours asking for what I needed to regain control. And got it. Never happened again. We all know of people who do the tears thing and aren’t seen for months. They lost control and didn’t or couldn’t get it back, and that was because they didn’t know that there was an alternative to pills. Values-based time management – might not be penicillin but by all that’s holy it’s a damn good treatment for what ails a lot of people. Try it out. My book or theirs, you decide. It’s you who controls your decisions if you want to. 100-Day Challenge: Day 37. What can YOU do in 20 mins an hour? ≈ Comments Off on 100-Day Challenge: Day 37. What can YOU do in 20 mins an hour? Yup. Reading the PMS daily does make a difference: I exercised after work daily, and spent the week finishing my planner pages with ticks all down the page. Lost some weight, got fitter (a bit, it’s only a week). Couldn’t ask for more. Some friends have often asked how I manage to run an Institute, give driving advice, run a speakers club, do the social and side-business that those commitments entail, write a couple of books and compile this blog. When it comes down to it, the difference must be in the way we choose to spend our time and what lies behind how we choose to spend our time. I’m not judging – the way they choose to spend their time and money may be different to how I do those things, but that doesn’t make either side ‘wrong’. It merely provides tangible proof that the things we value are different. Alternatively (and this is a bit deeper), our values are the same but the way we address those values is different. For example – and see which side you fall – whenever I have conducted a values exercise I can be absolutely sure that for those who are parents, ‘Family’ always come at or near the top of the tree. And I look at the room and I see people who work 80 hours a week and who rarely even see the family that is so important to them. Then I reflect on that values definition, and realise that while my value of family is defined to include ‘presence’, their value of family might just as easily (and validly be defined as ‘providing for their needs and wants by working hard to get the money that pays for them’. So we act differently on what we value to be important. And what we ‘do’ takes up ‘time’. What I do to take up my time is write and serve the organisations I have joined. My friends spend their time differently – for example, running around after their children helping them learn, play, perform and so on. Which is something I used to do but now my kids are adults. What I do now is not necessarily what I did then. And I forgot! How we spend our time is a reflection not only of our values but also that of our current situation – our obligations, duties, interests, and so on. Learn values-based time management. Apply what you learn to what you truly value. See if you can do more of what you value, less of what you don’t, and still get the things done that need to be done. Buy My Book HERE. Read the opening pages at ‘Look Inside’. Available in Kindle or Paperback.